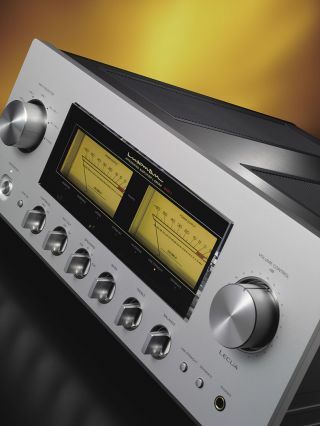 Luxman unveils £7000 L-590AXII integrated amp | What Hi-Fi? The Japanese manufacturer says its latest integrated amp is its finest yet and is the culmination of more than five decades of audio research. The L-590AXII benefits from Class A amplification and the fourth-generation of the company’s Only Distortion Negative Feedback (ODNF) circuit. This is claimed to limit feedback to distortion components only, resulting in an enhanced signal-to-noise performance. The preamp section of the amplifier has a power output of 30W per channel into eight ohms and doubles to 60W into four ohms, while a high-inertia power supply circuit and low-impedance signal transmission design aim to optimise signal paths for improved sound quality. Bass and treble tone controls, a “loudness” control and a “line straight” button that bypasses the tone controls for the balanced input are all standard features. Connections include four single-ended RCA and two balanced XLR inputs, alongside a switchable phono input. You’ll also find a high-quality headphone output and two sets of speaker binding posts. There are additional connections for an external preamp and integrated system control. In classic Luxman style, there are two illuminated VU meters on the front to indicate signal level. This is proper old-school hi-fi, and harks back to Luxman's first stereo amplifier, the valve-based SQ5A released in 1961. The Luxman L-590AXII integrated amplifier will be available from January 2016 for £6995.